Take a private or group, guided Morocco tour from our Morocco Travel Packages and see the spellbinding beauty of its natural landscapes and cultural heritage sites. You’ll enter the red, shifting sands of the Sahara Desert, and drive through the imposing, snow-capped Atlas Mountains. 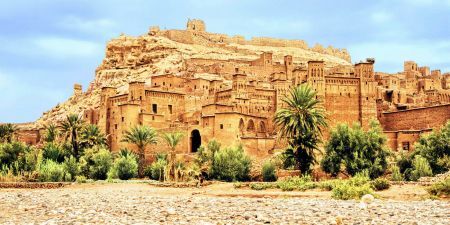 Our Morocco Vacation Packages show you the best of its most beloved cities, such as the four imperial cities of Fez, Meknes, Marrakech, and Rabat. 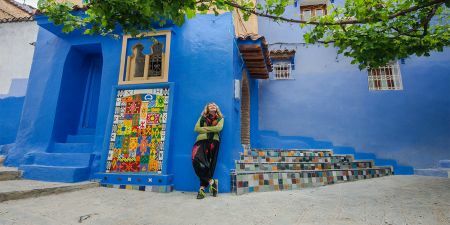 Explore the famed coastal city of Casablanca, or snap photos in Chefchaouen, where the walls are painted deep, dreamy blue. Relax on the calm, fine beaches of Agadir. Morocco is the perfect combination of ancient heritage and artistic tradition with modern luxury and comfort. Enjoy these Private Morocco travel packages to combine the incredible history and culture with the amazing nature of the Sahara Desert and the Atlas Mountains. 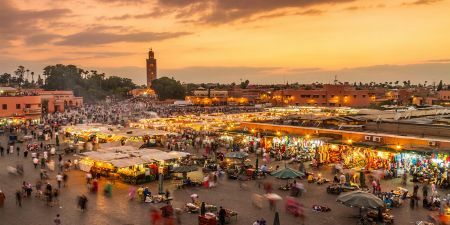 Our Morocco Tour Packages allows you to Live in the laps of history and explore the Imperial Cities, Tour Casablanca, Rabat, Meknes, Fez, and Marrakech. Enjoy the nighttime desert celebrations, Morocco has it all. Thrilling adventures to relaxing sojourns Memphis Tours delivers it all. Try our Morocco Group travel packages to discover the wonders of Morocco Imperial Cities and the Atlas Mountains landscapes by selecting one of our Morocco Small Group Tours to enjoy visiting Casablanca and Rabat, the medieval city of Fez, the fascinating ancient city of Marrakech and the amazing Moroccan Desert. Memphis Tours offers you Many options to enjoy the fascinating Morocco Travel Packages during Christmas holidays 2018 and New Year 2019.